A second government shutdown appears, at least for now, to have been averted thanks to Congressional negotiators reaching an agreement in principle regarding border security. CNN reported that four bipartisan negotiators emerged from talks last night saying a deal has been struck that would provide $1.375 billion for barrier funding to cover roughly 55 miles of new barrier. Though this appears to be a positive step forward, it remains unclear whether President Donald Trump will support the agreement, which does not meet his demand of $5.7 billion in border wall funding. A deal must be reached by midnight on Friday when funding is set to expire for parts of the federal government. Several travel industry associations and organizations say there are continuing to monitor developments but declined to issue any specific reaction to the latest news. The House Transportation and Infrastructure Committee is holding the hearing in order to dig into how the recent, historic, 35-day shutdown hurt not only FAA functions, but also the larger aviation industry. According to Aviation International News, Rinaldi will talk about the erosion of layers of safety and detail the stress placed on the workforce during the last shutdown. The hearing comes on the heels of a new bill designed to protect FAA programs and workers from future shutdowns. H.R. 1108 is designed to provide funding to the FAA from the Airport and Airway Trust Fund (AATF) if another shutdown were to occur. The money, which comes from aviation excise taxes, would allow for continued operations, covering programs and payrolls. The legislation is supported by about 15 aviation groups including the Air Line Pilots Association International (ALPA), which issued comment last week applauding the measure introduced by U.S. House Transportation and Infrastructure Committee chairman Peter DeFazio (D-Oregon) and aviation subcommittee head Rick Larsen (D-Washington). Aviation is merely one sector within the travel industry that’s impacted by government shutdowns. Hotels and hotel industry workers have also been closely watching the government efforts to prevent another shutdown. Contacted yesterday, before the new deal was announced, the American Hotel & Lodging Association expressed concern about how a second shutdown might affect the 15 million people the sector supports. 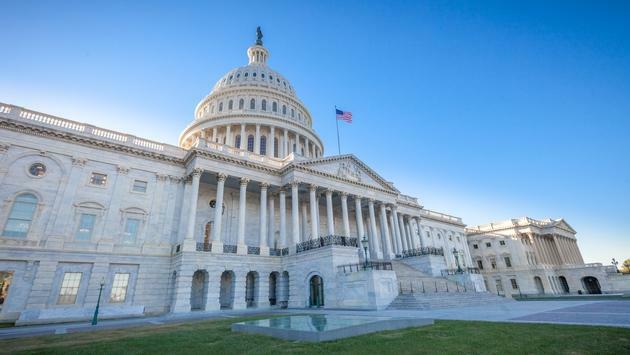 "There are significant unintended consequences caused by a shutdown, such as the lost shifts, hours and wages for our non-salaried employees because of canceled reservations, conferences, and meetings," an AHLA spokesperson told TravelPulse. "Hotels are mainstays in their communities, generating $167 billion in federal, state, and local taxes, and guests spending an additional $238 billion on transportation, dining, shopping, and other activities at local businesses during their stays. We are encouraged by the progress made by our elected leaders on a resolution and urge swift action to avoid disruptions for our employees and our economy." Perhaps equally concerning, according to a tweet posted yesterday by the Association of Flight Attendants (AFA), the travel industry still has not recovered from the previous shutdown. AFA stated in its social media post that many of the systems that were interrupted have not yet been restored and federal workers are still waiting to receive lost wages. The deal reached last night by lawmakers must pass both chambers of Congress and be signed into law by the president before the looming Friday night deadline in order to prevent another partial government shutdown. A Democratic aide told CNN that there's still a great deal of work to do in order to prepare any legislation to be taken up on the floor of both chambers. Next steps that must take place include releasing the full legislative text ahead of any House vote and providing a 72-hour wait period between filing the legislation and voting on it. The 72-hour rule, however, can be waived in emergency situations to speed up the process, CNN reported. Still, the biggest uncertainty is whether the president will agree to the measure. Initial indications are that it does not meet his satisfaction. AFA told TravelPulse Tuesday that they are continuing to plan for leafleting this week and informational picketing on Friday. "It's not final until it's signed," said AFA spokeswoman Taylor Garland.